The Kentish plover (Charadrius alexandrinus) belongs to the family of lapwings and plovers, the Charadriidae. 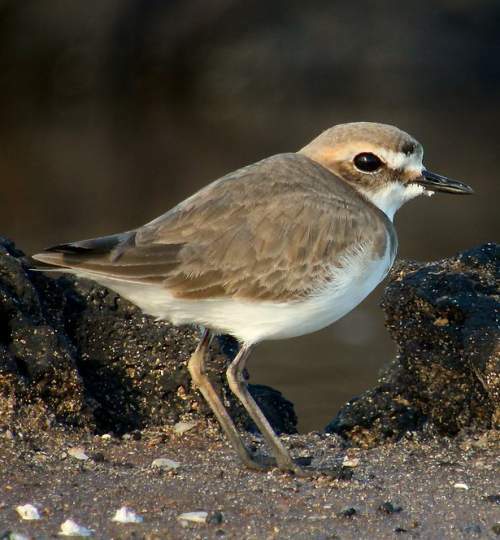 The Kentish plover species is distributed in central and eastern Asia, Europe, Mediterranean region, Africa, Indian subcontinent and southeast Asia. These plover species have cosmopolitan distribution. These plovers are polytypic species. The Kentish plover (Charadrius alexandrinus) is a small plover, measuring 15 to 17 cm in length and weighing 30 to 60 grams. The wingspan is 40 to 45 cm. The breeding male Kentish plover has brown back and upperparts. There is a rufous cap. The forecrown has a black patch. The forehead is white and merges with the white supercilium. The lores are blackish brown. There are black bars on either side of the breast. The underparts are white. In wintering birds, the crown and upperparts are pale grayish brown. The black markings on the body are subdued. The female Kentish plover lacks the black markings. The plumage is pale. The bill is straight and black. The irises are black. The feet are black or grayish brown. The call of these plover species is a short soft "piit-piit" sound. These Kentish plover species are distributed in central and eastern Asia, Europe, Mediterranean region, Africa, Middle East, Pakistan, India, Nepal, Bhutan, Bangladesh, Sri Lanka (C. a. seebohmi) and southeast Asia. In India, these Kentish plover species are distributed in most of the states except Karnataka, Arunachal Pradesh and Nagaland. The subspecies C. a. seebohmi distributed in southeast India (Tamil Nadu) as a resident species. The Important Bird and Biodiversity Areas (IBA) of these Kentish plover species in Taiwan are, Cie Ding Wetland and Qieding Wetland, Kaohsiung City. These Kentish plover species do not normally occur in forests. They normally occur in altitudes from 0 to 3000 meters. The artificial ecosystems and habitats of these species include aquatic excavations, aquaculture ponds, salt works and reservoirs. The natural ecosystems and habitats of these species include wetlands, rivers, streams, creeks, brackish lakes, pools, marshes, estuaries, intertidal mudflats, shorelines, marine lakes, lagoons, temperate grasslands, temperate deserts and hot deserts. The diet of these Kentish plover species consists mainly of insects. Insects, worms, beetles, flies, termites and ants, spiders, crustaceans and molluscs are their primary food. They catch insects on dry grounds as well as probe soft mud. The breeding season of these Kentish plover species is April to May in Europe. The laying season is from March to June in northwest Africa. The breeding season is from February to July in Ethiopia. These plover species are mostly monogamous and territorial. In several cases, polygamous behavior and extra pair paternity has been observed (Blomqvist et al.). Courtship displays include flat running and nest building. The nest of the Kentish plover is usually a shallow scrape on the ground lined with plant material, pebble stones, small parts of shells, fish bones, small twigs and grass. The clutch contains three or four gray eggs with dark spots. Both the parents incubate the eggs for 20–25 days. In some cases one of the parent may desert the brood, a week after egg hacthing. Though the hatchlings are precocial, they are still vulnerable to external temperatures and predation. These Kentish plover species are partially migrant birds. The populations in northern regions of their range are migratory, migrating southwards for wintering. They winter in central Africa, central India, South Korea and southeast Asia. The Kentish plover populations in coastal north Africa, Arabian peninsula, Persian Gulf, parts of Pakistan, southeast India, Sri Lanka, southeast China, Taiwan, southern Japan are resident birds. The Kentish plover populations in higher altitudes descent to lower levels during winter. Post breeding, the juveniles may disperse and establish in new locations within the range. Within their range they may make local movements for feeding and breeding. The global population size of the Kentish plover (Charadrius alexandrinus) is estimated to be about 100,000 to 500,000 mature individual birds. The overall population trend of the species is considered to be decreasing. In most of its range, this species is reported to be rare to uncommon. The generation length is 5 years. Its distribution size is about 70,800,000 sq.km. The Kentish plover (Charadrius alexandrinus) does not approach the thresholds for being Vulnerable, either under the range size criterion, or under the population trend criterion or under the population size criterion. The CITES (Convention on International Trade in Endangered Species of Wild Fauna and Flora) status is ‘Not Evaluated’ for the Kentish plover (Charadrius alexandrinus). 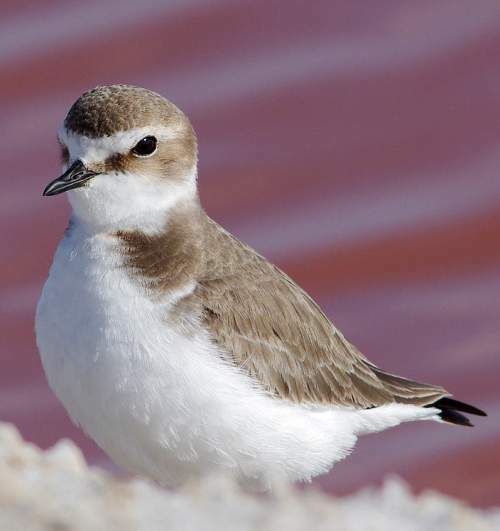 The Kentish plover (Charadrius alexandrinus) is closely related to The Kentish plover (Charadrius alexandrinus), snowy plover (Charadrius nivosus), white-fronted plover (Charadrius marginatus) and Javan plover (Charadrius javanicus). Earlier it was considered conspecific with Charadrius nivosus. The three recognized subspecies of the Kentish plover (Charadrius alexandrinus) are: C. a. alexandrinus Linnaeus, 1758, C. a. nihonensis Deignan, 1941 and C. a. seebohmi E. J. O. Hartert & A. C. Jackson, 1915. 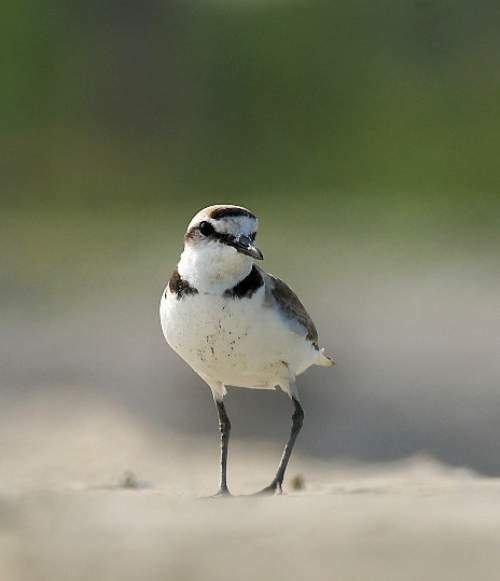 Current topic in Birds of India: Kentish plover - Charadrius alexandrinus.